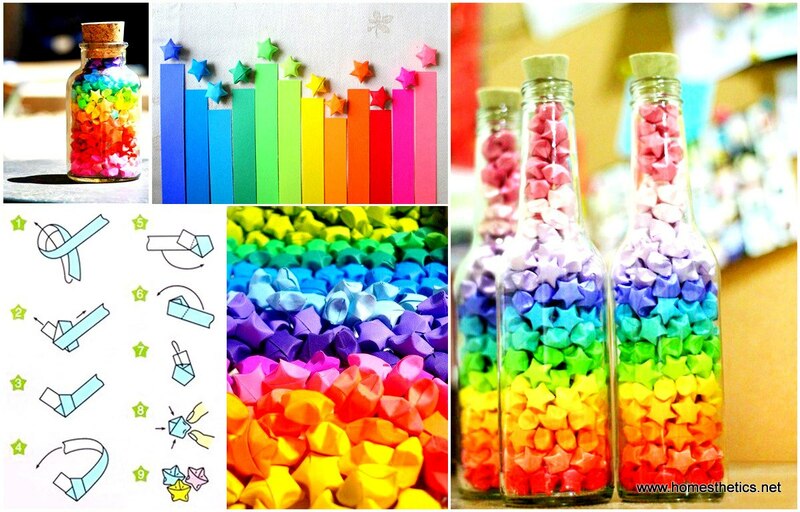 Browsing Pinterest is a very rewarding and relaxing activity. 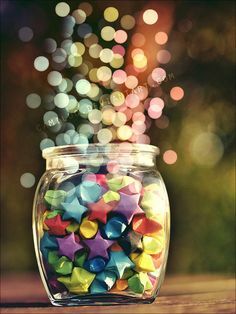 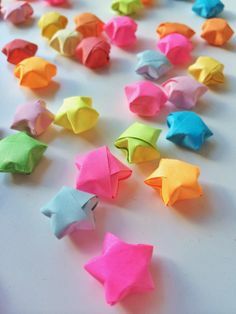 Inspiration can be drawn from any item, from any picture or experience and today we have found inspiration in a four words ” Fold Lucky Paper Stars”. 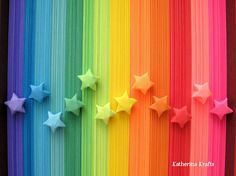 These are four words that stand for a rainbow diy paper project that seems torned from the sky. 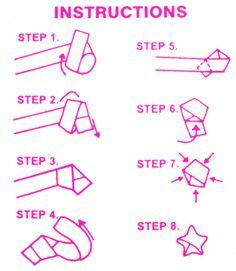 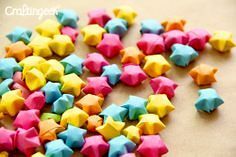 Discovered on pinterest and researched a little online, the DIY Fold Lucky Paper Stars seems to be an extremely simple project to realize whether you realize it with a template or not. 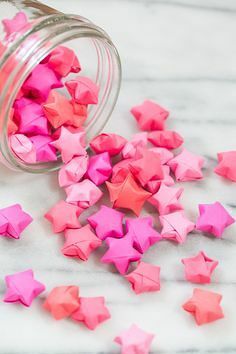 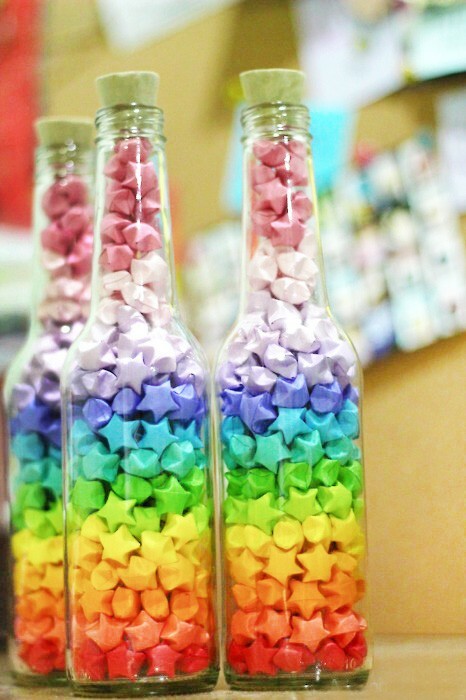 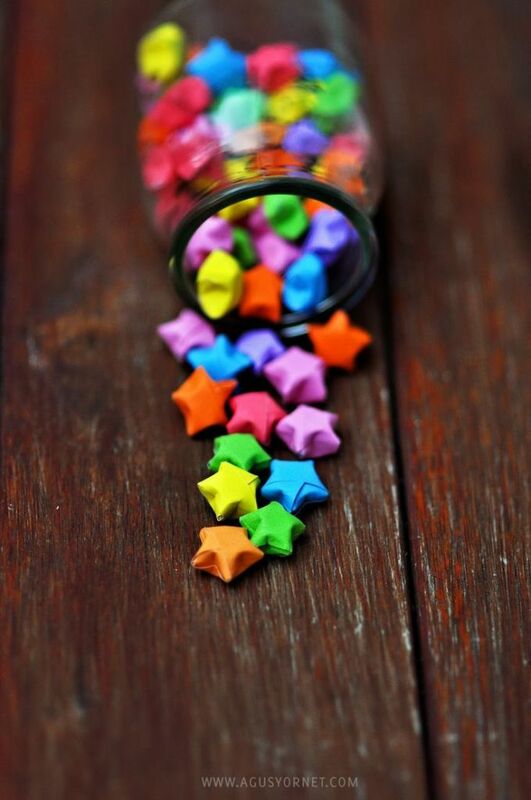 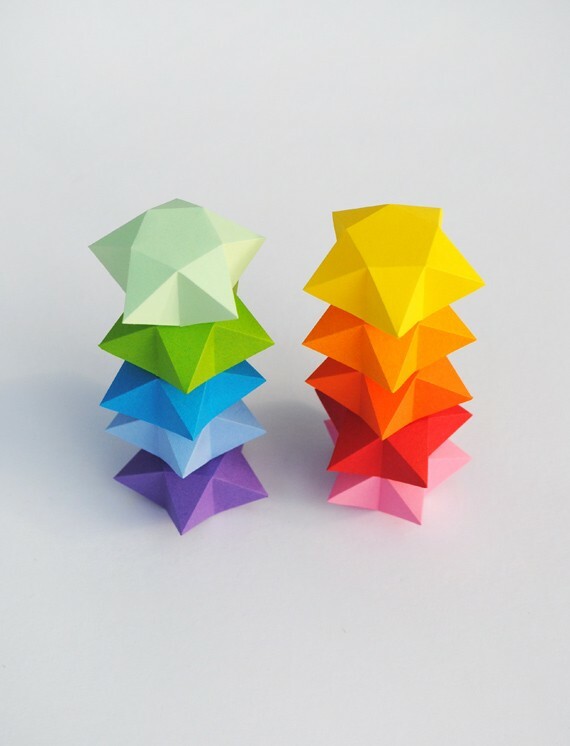 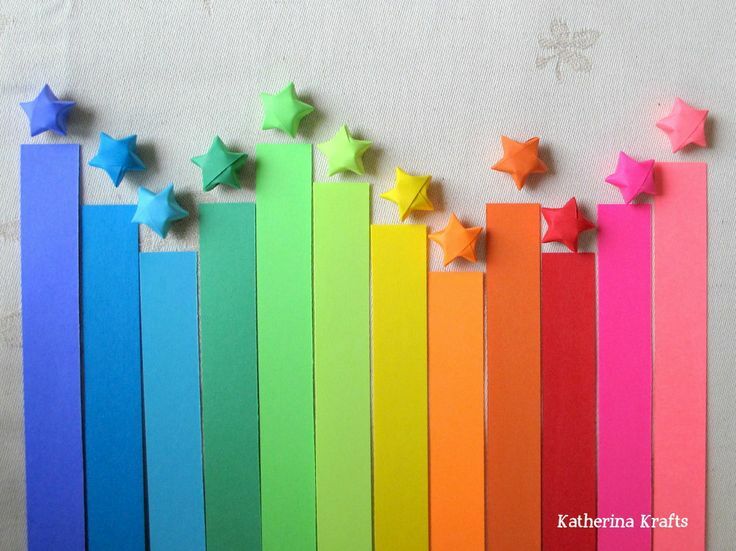 You can create fold lucky paper stars in any size and any color. 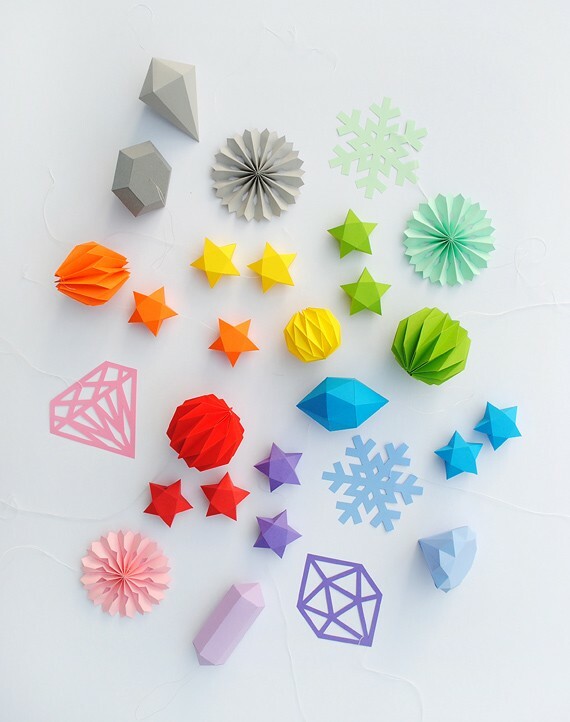 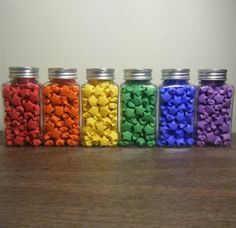 You can use them to accessorize your party, complement your Christmas tree, make a garland or even use them as gift boxes for small items like jewelry. 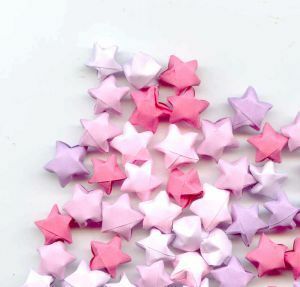 The lucky paper stars do look exceptional along other colorful or rainbow origami paper crafts such as origami cranes, paper medallions, paper snowflakes and many others. 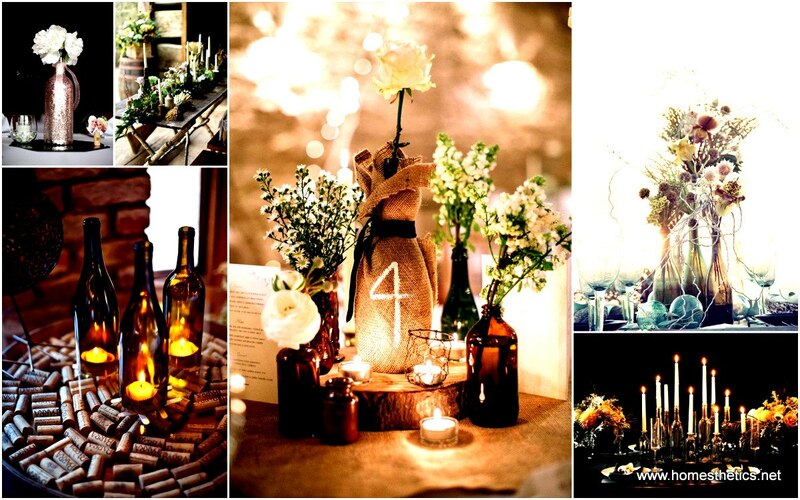 The feeling of appurtenance and identity born from a sensible, delicate and colorful story, creatively enhancing the aesthetic values in decor with ease and with little to no costs is really unique. 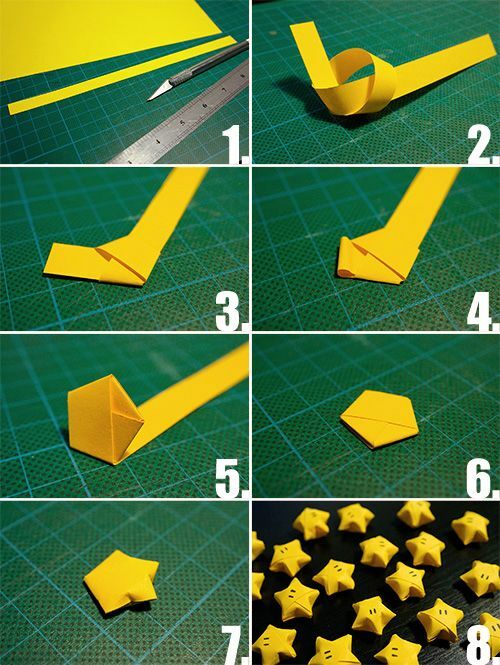 Follow these simple instructions and you`ll obtain a very natural looking lucky star. 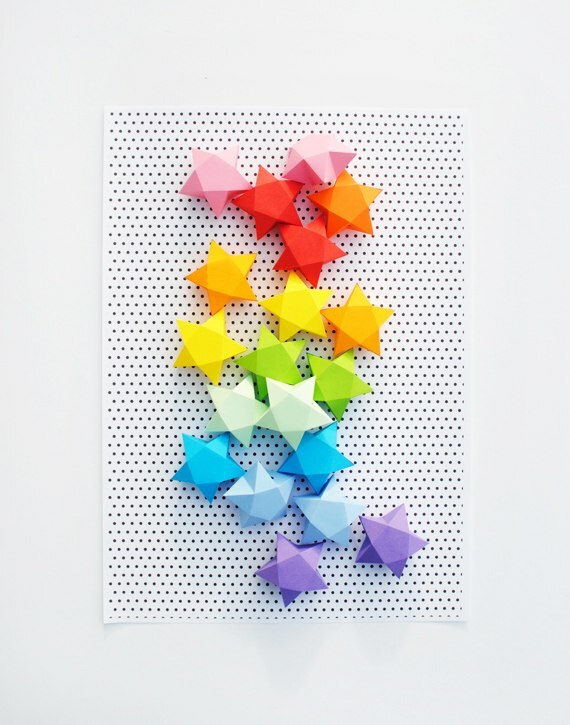 If you manage to create multiple colors and multiple sizes you will be able to use the small art pieces in rainbow wall paper art . 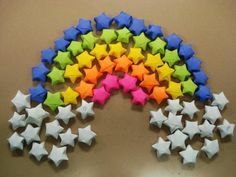 Once you obtain the desired result with a few colorful pieces it is time extrapolate and create a mass of graphic stars to populate your home. 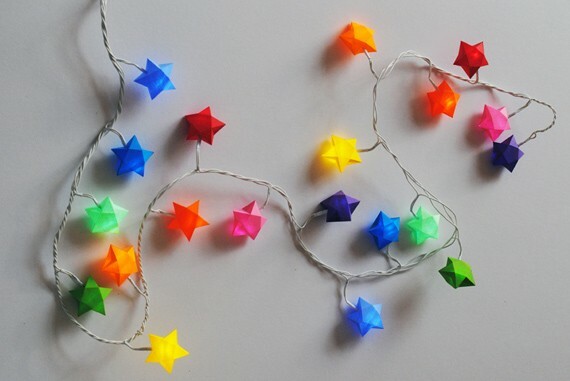 You can fill mason jars with superb paper sculptures, you can create one colorful paper garland, you can use leds to light them up or make paper wall art compositions and shapes to send a message or simply express joy. 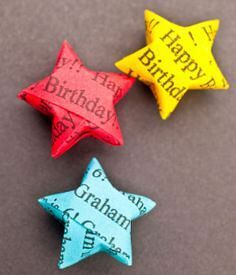 Further on you will see how graphic can the DIY Fold Lucky Paper Stars become. 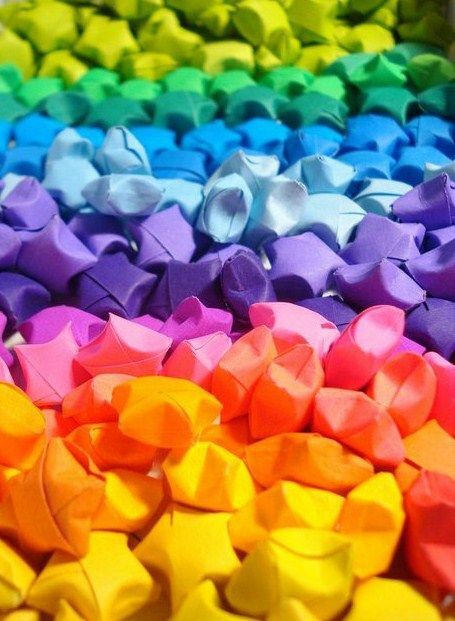 There is another method to create these extraordinary piece of art as well. 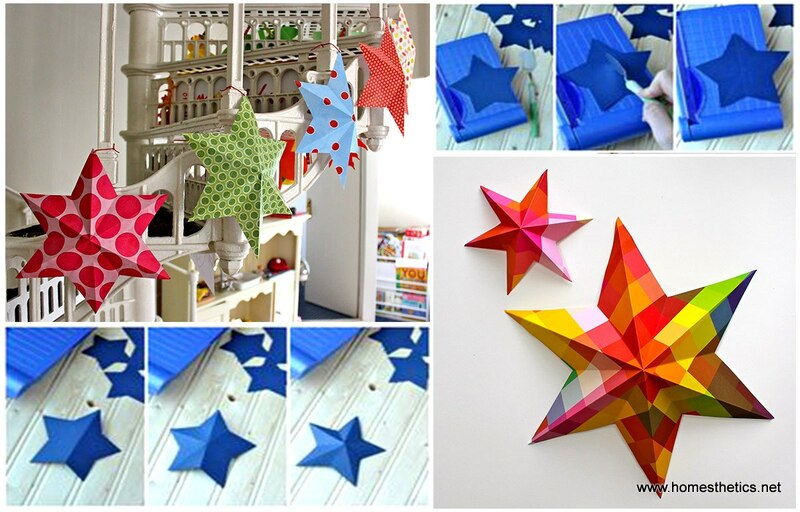 The method has been explained properly on minieco.co.uk where you can also find the printable templates for them. 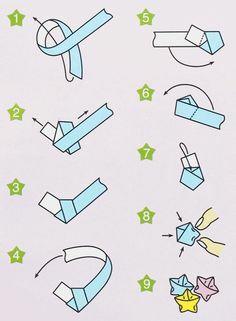 The method is a little more complicated and it requires more tools but it is also a little more precise. 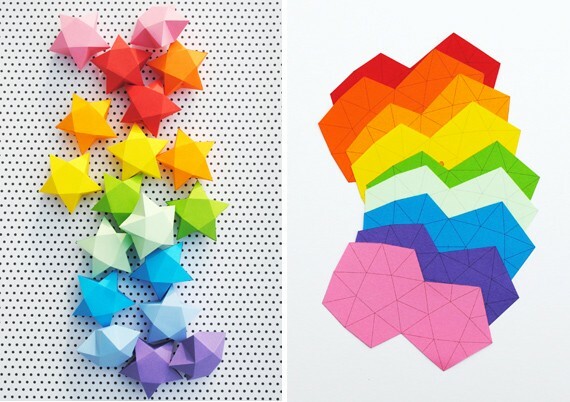 We would love to hear your opinion on these extraordinary graphic rainbow compositions. 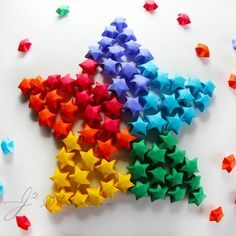 Paper projects are extremely simple to realize and extremely graphic at the same time, start you own DIY Fold Lucky Paper Stars project today!